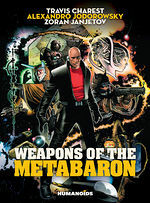 Weapons of the Metabaron is a beautiful book to look at. 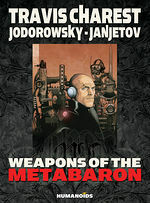 Charest and Janjetov artwork visually captures Jodorowsky’s imagination and creates worlds and characters that are mythic and grand. For fans of the Metabaron story and the Jodorverse in general, Weapons of the Metabarons is a must read tale. Not only is it engaging and action-packed, but it also features some of the most impressive art of the series thanks to Charest's work.